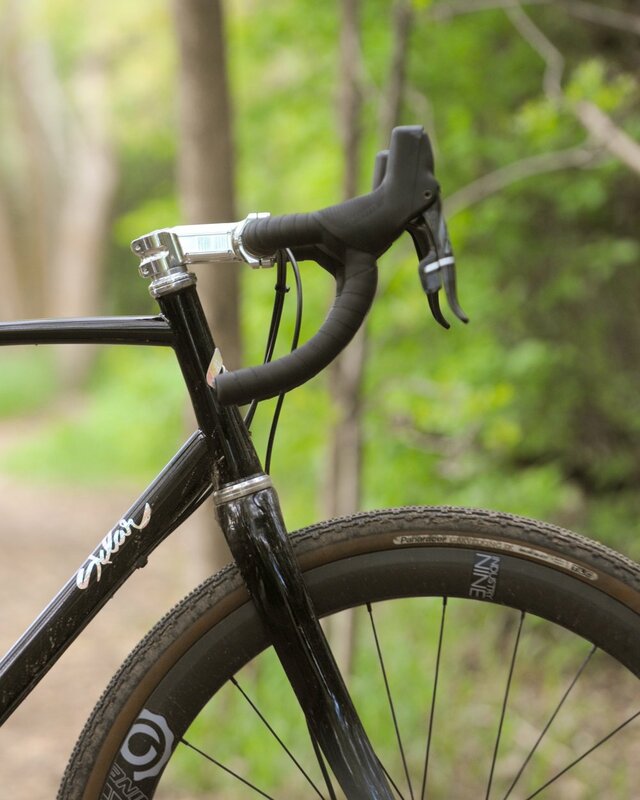 Sklar All-road | A steel all arounder for gravel and more — Sklar | Handmade Bicycle Frames. Mountain, Cyclocross bikes built to order. 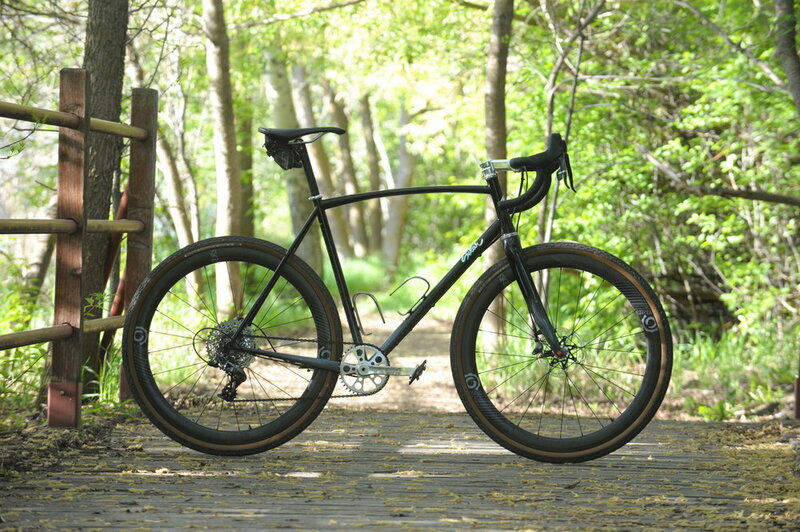 Gravel grinders and All-road bikes are hot these days! These buzzword-laden names describe a type of bike that is, at the end of the day, a really versatile and fun bike. As I have described before, some of these bikes lean towards a "mountain bike with drop bars" while others are more of the "road bike with big tire clearance" category. This bike is closer to the latter. Road bike-ish geometry with clearance for a 700x45c or 27.5x2" tire. When I say road bike-ish I mean that the fit is similar to what you may see on a road bike, though the head tube is slightly taller and the stem just a touch shorter with an ever so slightly longer top tube. These very slight changes keep handling snappy and fun, but a lot nicer on the descents. A few mm of added bottom bracket height also helps with pedal strike off road while keeping the handling fun on roads paved or not. This bike uses super lightweight steel for a light and responsive ride. All that stuff is cool. But what does it actually mean? What it means is that this bike is really fun for leaving your front door and seeing where the day takes you. It's good for that early season lunch ride where you plan on riding road, but you notice that a new trail has dried out. It's perfect for keeping up with your friends on road bikes when you want to, or hanging with friends on light trails too. It is also going to be fun (probably type 2) when I ride it 100 miles at the Lost and Found gravel ride in a few weeks. If I could only have one bike, this would be it, and I can't wait to put more miles on it because this one is mine!